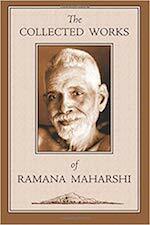 At sixteen, the teenager future Ramana Maharshi was seized by the anguish of death. What happens when we die? The body dies, the thoughts too … What else remains ? 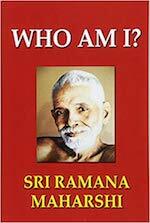 Thanks to an intense concentration that he said that it lasted several hours on this totally vital issue : What is death?, he experienced a sudden enlightenment that completely changed his life. 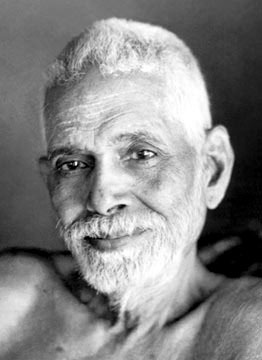 “It was in 1896, about 6 weeks before I left Madurai to go to Tiruvannamalai – Arunachala that this great change in my life took place. I was sitting alone in a room on the first floor of my uncle’s house. I seldom had any sickness and on that day there was nothing wrong with my health, but a sudden violent fear of death overtook me. 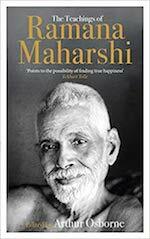 There was nothing in my state of health to account for it nor was there any urge in me to find out whether there was any account for the fear. I just felt I was going to die and began thinking what to do about it. It did not occur to me to consult a doctor or any elders or friends. I felt I had to solve the problem myself then and there. The shock of the fear of death drove my mind inwards and I said to myself mentally, without actually framing the words: ‘Now death has come; what does it mean? What is it that is dying? This body dies. And at once I dramatised the occurrence of death. I lay with my limbs stretched out still as though rigor mortis has set in, and imitated a corpse so as to give greater reality to the enquiry. I held my breath and kept my lips tightly closed so that no sound could escape, and that neither the word ‘I’ nor any word could be uttered.